Versatile Charging - Charge the light by connecting it to the provided power charger or by connecting to your computer's USB port or other suitable DC5V charger. Built-in 1000mAh high-capacity lithium battery - There's no need to buy or insert a battery. After a full charge, the battery will power the light for around 15 hours meaning you'll have no problems on trips or during performances. Flexible Switches - Each arm features its own independent switch. There are two brightness modes that can be selected by pushing the small round button on the back. 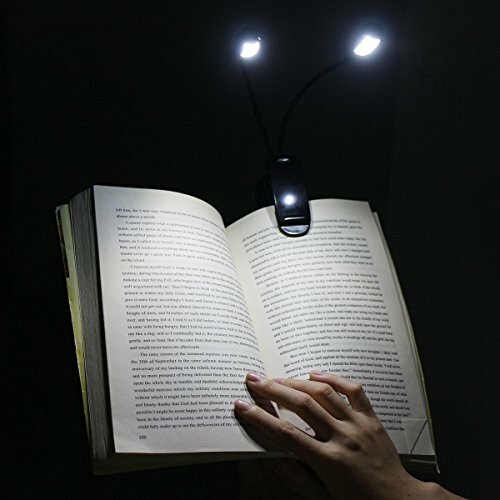 Small & Convenient - The base of the light can be placed directly on a desktop and the arms can be adjusted to save space. Perfect for those on-the-go such as students, travelers, drivers etc. It will serve you well at night for multiple uses, such as reading books, clip on headboard, shelves, cupboards, computers, laptops, desktops, pianos, music stands, etc. We provide 100% Money Back and ONE YEAR Guarantee. Please feel free to try it! If you have any questions about this product by GES NET, contact us by completing and submitting the form below. If you are looking for a specif part number, please include it with your message.